Joe Rosenthal has died, at an assisted living center in a suburb of San Francisco. He took what is undoubtedly one of the most famous U.S. war photographs ever, the still picture of the flag-raising by U.S. Marines on Mount Suribachi during the battle of Iwo Jima. Much has been written about the circumstances and the occasion for the photo. It is acknowledged that the flag-raising was of a second, larger flag, not the first flag to be raised after the taking of the island, and it is variously said the second flag-raising was "staged," or that the second flag-raising was done simply because the first, smaller flag had come down, or because the photograph of the first flag-raising was known to have been lost. (There's also a Universal newsreel of the event.) This isn't the place to look into the various interpretations in detail: it suffices that the picture is an iconic image of exhausted triumph at the culmination of bitter combat. 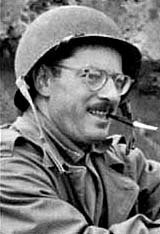 The photograph became the basis for Felix W. deWheldon's heroic Marine Corps Memorial statue in Washington, D.C., and Rosenthal won the Pulitzer Prize for it. 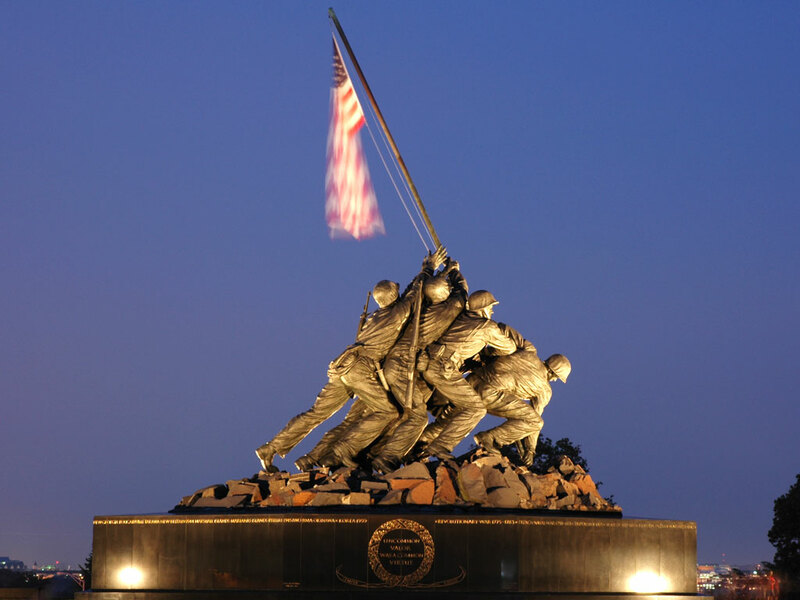 The U.S. Marine Corps Memorial in Washington, D.C., sometimes incorrectly called the "Iwo Jima" memorial. Ironically, Rosenthal tried to enlist as a photographer but was rejected by the army—for poor eyesight! He was on Iwo Jima in February 1945 as a photographer for the Associated Press. 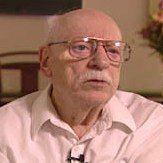 When he died on August 20th, Joe Rosenthal was 94. Thank you for this wonderful tribute to this great man and photographer. Such moving images remind me to be grateful for all the people in the armed services out there doing their job. 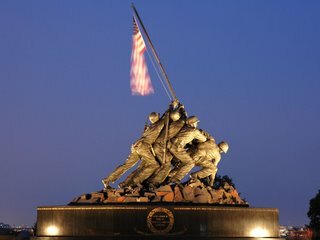 Some years ago I heard a story about Joe Rosenthal that included the statistics showing how much money was raised in the selling of war bonds directly related to his indelible Iwo Jima photo. The dollars were well into the millions and if memory serves "that" photograph raised more money for the war bonds than any other single effort - period. Does that story ring a bell? As I recall it was a wonderful story - but I have never seen nor heard it since. Maybe someone can verify? 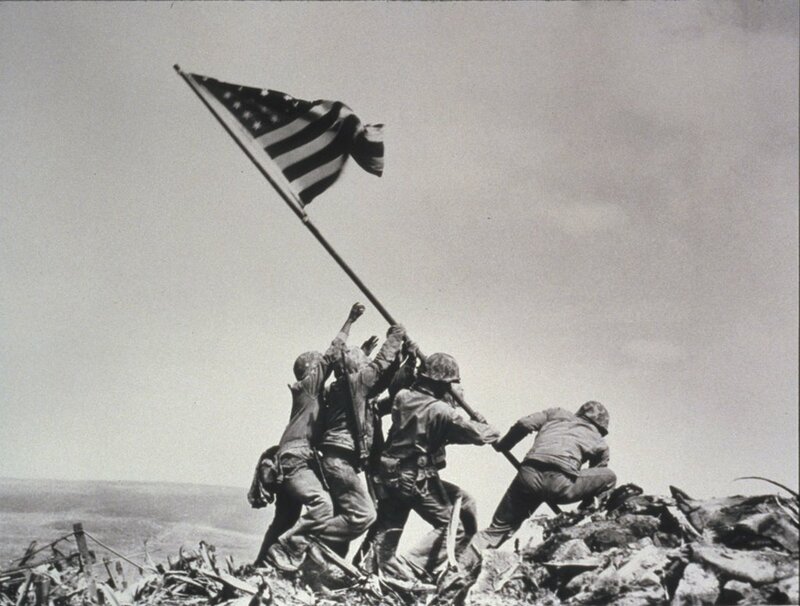 The flag on Mount Suribachi was raised (both times) during -- not after -- the battle of Iwo Jima. In fact, three of the flag raisers were killed, and another was critically wounded, after the raising of the flag and the taking of that famous picture.